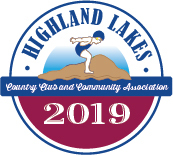 Highland Lakes Country Club and Community Association is the owner of five lakes and a lagoon in the private lake community of Highland Lakes. Strictly prohibited is the use of internal combustion motors (gas/propane/etc.). Electric motors are limited to a maximum of 10 horsepower and a speed maximum of 1o miles per hour. The dams impounding the five lakes have been rehabilitated to the standards of current law, administered by the New Jersey Bureau of Dam Safety, and undergo inspections every two years by an engineering firm. If you are considering moving to a lake community, make sure you inquire about the status of the dam (if a dam exists), and the extent to which special assessments and/or additional property taxes are being raised for the dam(s). 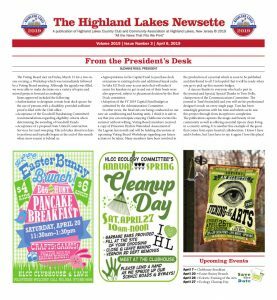 In Highland Lakes, three low-interest loans were obtained from the State of New Jersey for dam rehabilitations, and members are assessed $60.00 yearly for the debt service and ongoing inspections and repairs of the dams. Aquatic conditions (algae, weeds, etc.) 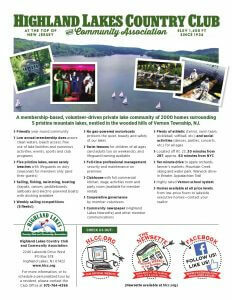 together with water chemistry are handled by a team of consultants (Solitude Lake Management and Princeton Hydro, LLC) working in close cooperation with the Club’s General Manager and Ecology Committee. The Club’s seven beaches and the swim lanes are tested for E. coli throughout the bathing season, and results are reported to the Sussex County Health Department.